As the namesake of both his innova debut and the suite that lies at its heart, the Antikythera Mechanism is a fitting metaphor for composer Andrew McPherson’s musical approach. A kind of cogwheel computer designed to calculate astronomical positions, the Antikythera Mechanism was discovered aboard the sunken wreck of an Ancient Greek ship at the turn of the last century, although its astonishing secrets have only unfolded recently. Through his work with his own invention, the magnetic resonator piano, McPherson explores the intersection of technology and art, of science and craft, and in the process discovers an entirely new landscape where tradition and the future walk hand-in-hand. The record as a whole describes an arc of exploration, beginning first with the forceful solo violin piece “Kinematics,” written for and played by Martin Shultz. That energetic statement of purpose gives way to “d’Amore,” named for the viola d’amore, a baroque instrument with both bowed and sympathetic strings. Here, the magnetic resonator piano functions as a huge collection of sympathetic strings, producing shifting clouds of tone that echo and prefigure the movement of the piece, dreamily played by star violist Nadia Sirota. 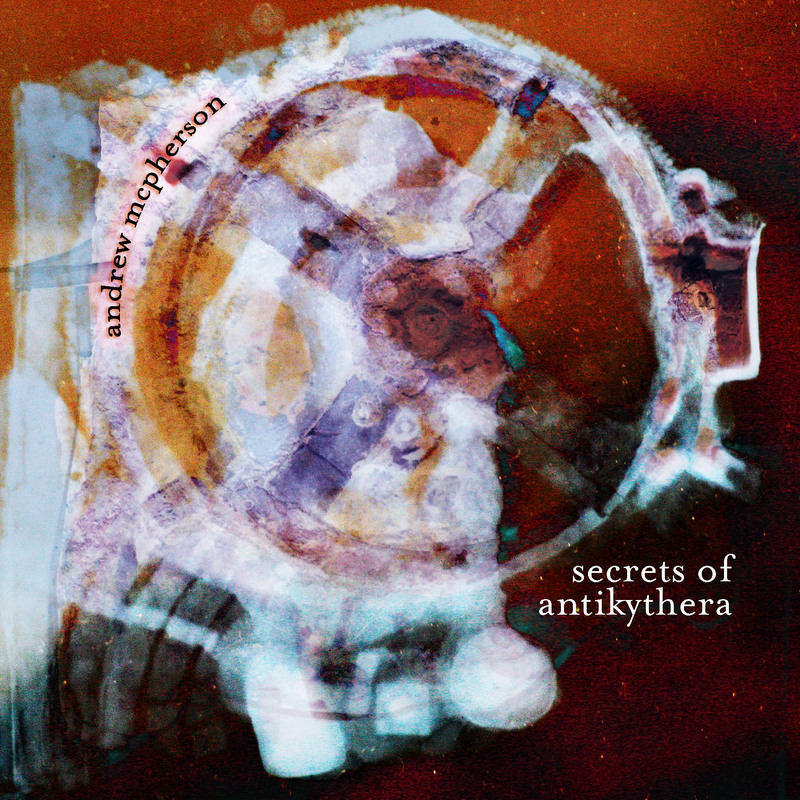 “Secrets of Antikythera” begins with the ghostly sounds of the magnetic resonator piano and it sounds at once like the distant past and the distant future. But even within its alien tones you can perceive the keys being pressed by human hands (those belonging to Ryan MacEvoy McCullough). Gradually, the electronics are stripped away until the eighth movement is played entirely without them. The epilogue brings the elements into balance again: the past, present, and future blurring together into one unending cycle of experience – and the sheer wonder of invention – that is ever fresh and constantly renewing itself. Andrew McPherson is a composer, engineer and instrument designer working in the Centre for Digital Music at Queen Mary, University of London.